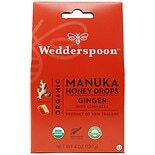 Shop Wedderspoon Organic Manuka Honey Drops Ginger (4 oz. )4 oz. 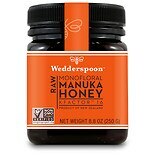 Shop Wedderspoon Raw Monofloral Manuka Honey K Factor 16 (8.8 oz. )8.8 oz. $2699$26 and 99 cents$3.07 / oz.